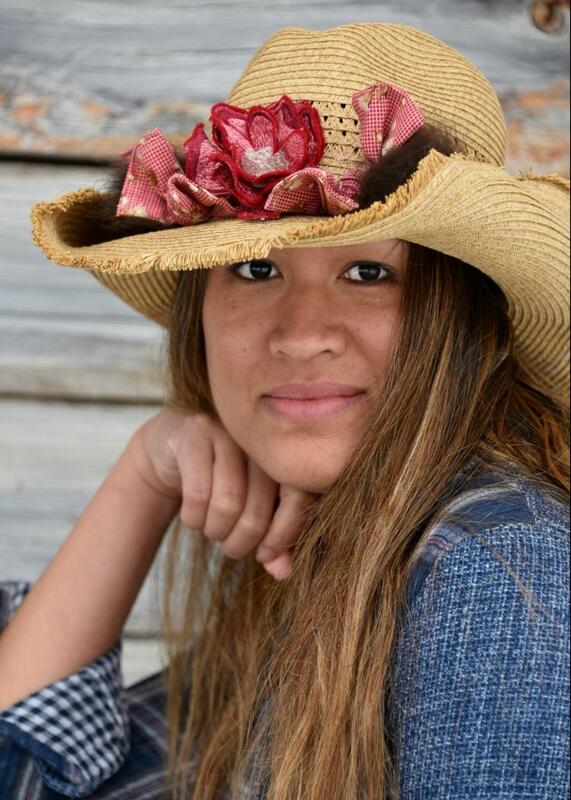 Spring and Summer are around the corner and our Rosie Bison Cowboy Hat is so SWEET! 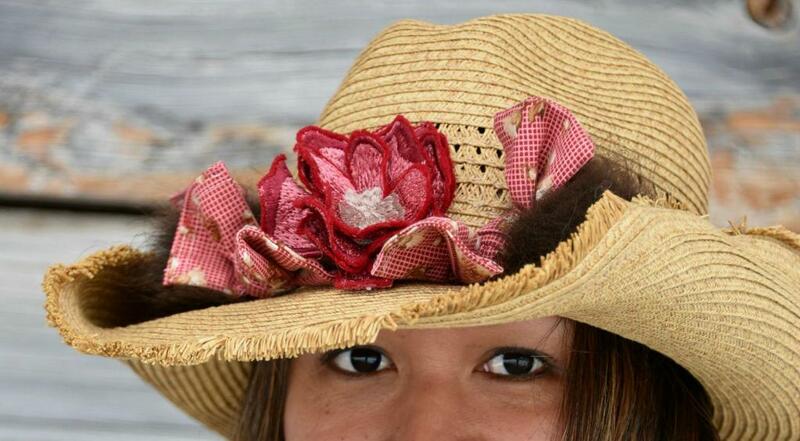 Embroidered roses, vintage-reproduction-fabric tied into bows, and puff balls of bison fur crown your glory. Rope pigtails twist off the back for the finale. 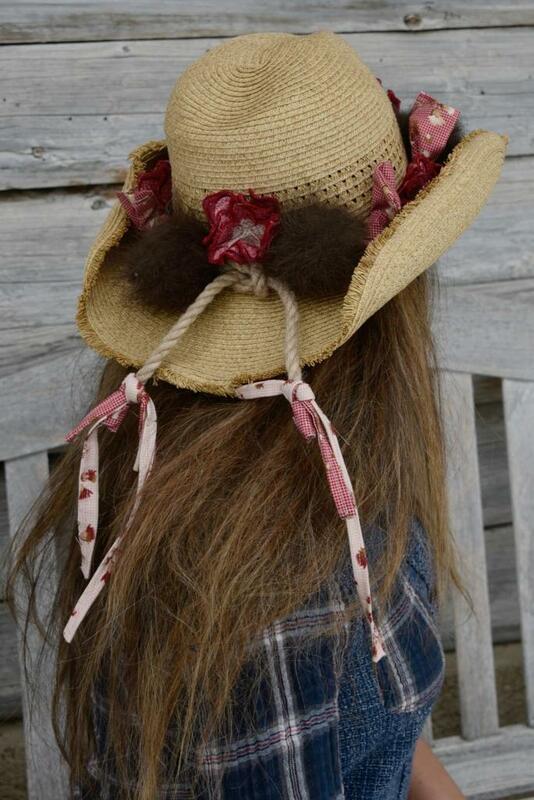 Straw, one-size-fits most, cowboy hat has wire in the brim so you can shape the edges the way you like. 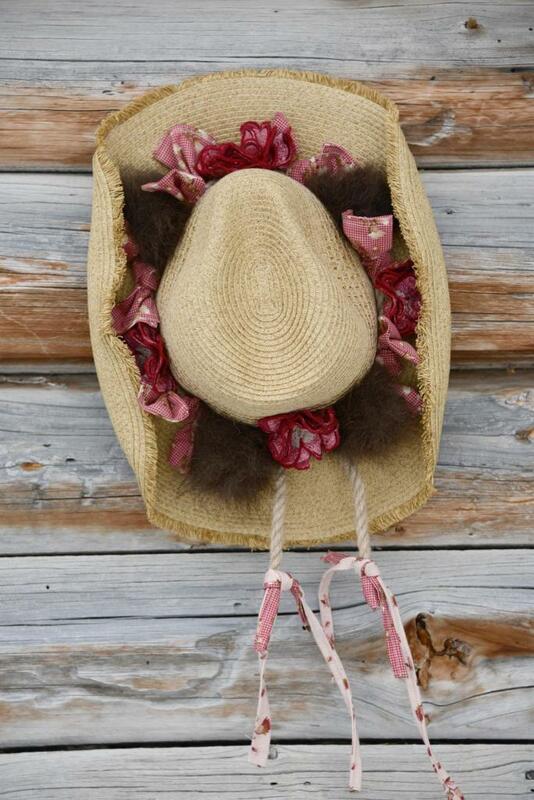 We have had fun creating a new line of accessories for the warmer seasons. One of a kind. USPS Priority Shipping included in price.